Home > Books > I Want to Be Somebody New! 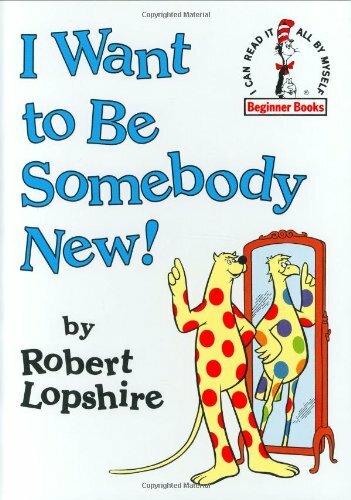 I Want to Be Somebody New! Spot, the chameleon-like leopard star of Put Me in the Zoo, is through with life in the zoo. And with changing his spots, too. Now he's into changing his shape, and he wants to be somebody new! But as Spot soon discovers, it's not easy being as big as an elephant or as tall as a giraffe or as small as a mouse. 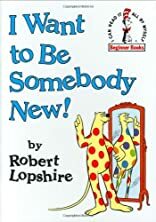 In fact, sometimes it's easiest just being yourself, as he- and young readers-learn in this cheerful, rhyming Beginner Book about self-acceptance.